NASA showed images of the lunar landing sites in 2009, punching all moronic conspiracy theorists a new stupid face, Buzz Aldrin style. Now they have released new higher resolution shots taken again by the Lunar Reconnaissance Orbiter. The new low-altitude Narrow Angle Camera images sharpen our view of the moon's surface. 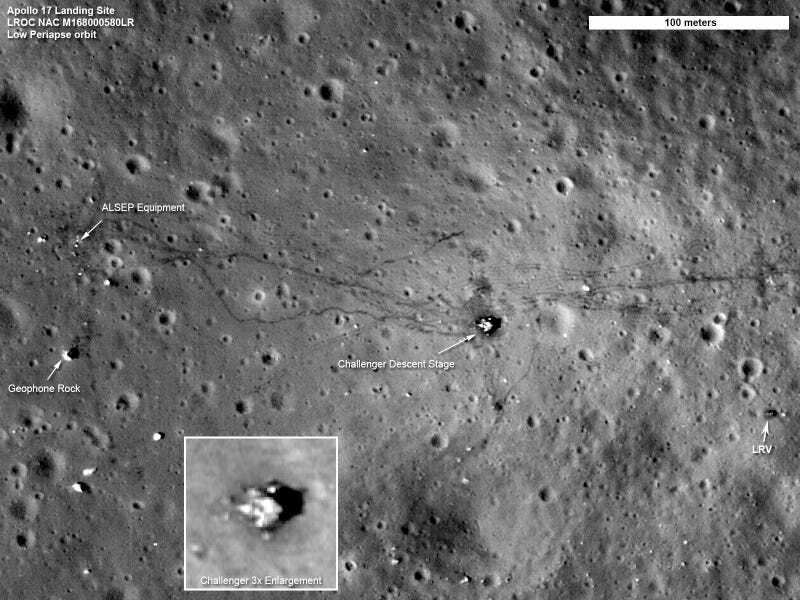 A great example is the sharpness of the rover tracks at the Apollo 17 site. In previous images the rover tracks were visible, but now they are sharp parallel lines on the surface.